Men's ROGAINE® 5% Minoxidil Unscented Foam is rated 3.9 out of 5 by 257. Rated 3 out of 5 by Anonymous from Disappointing results It has been more than four months, and though I am told the product is working, there is no evidence as of yet. I am trying to remain cautiously optimistic, but it is fairly expensive for zero progress thus far. Rated 4 out of 5 by Anonymous from 12-month supply When will you have 12-month supply packages for men? Rated 4 out of 5 by CRE1108 from It definitely works as advertised It takes several months before you notice the complete results, and it’s easy to get discouraged during that time, but it does work. 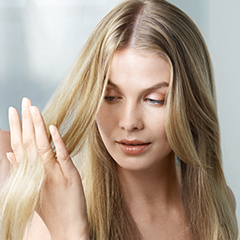 It’s not a miracle drug that’s going to transform you into a walking hair ball, but it will improve your thinning hair. Just give it time. Rated 2 out of 5 by Pk dhakar from Not regrow I tried rogain foam 10 months ago use twice a day daily but I have only 0.5% change I m very deprecate plz help me what can I do . Rated 5 out of 5 by nats10 from Rogaine Foam I love the results I have seen from using this product, I have to admit was skeptical but it really works! Rated 5 out of 5 by Going Foam from Foam I prefer the foam. If feels like I waste less, is less messy, and quicker to apply.